Hydrotec offers you a solution by injection and application of a surface protection. Your walls become dry and healthy for an unlimited period. And as proof, we offer you a 30-year warranty! 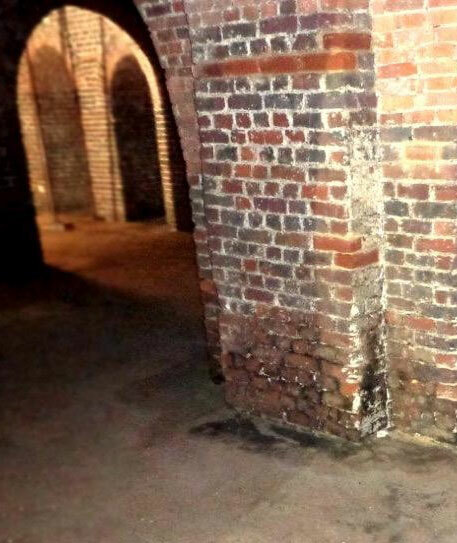 The walls against the ground become damp from contact. Moisture and salts slowly degrade them. One solution is to create an internal casing (with or without a draining trench) and a draining membrane on the ground. Our exclusive Hydro+ casing solution is guaranteed and has been proven since 1988. For reinforced concrete structures (basements, car parks), resin injections are done in addition to the casing. Are spots invading your walls behind the furniture, in the corners or around the windows? 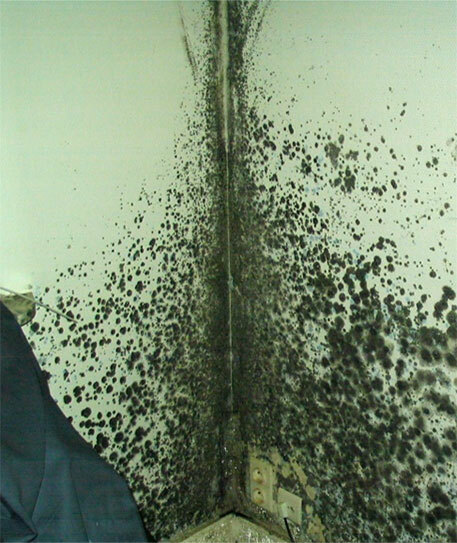 It is probably mould caused by condensation problems. This may occur due to ventilation problems or insulation defects causing thermal bridges. To effectively combat condensation and mould, Hydrotec installs a range of ventilation devices (single MCV and dual frequency DFV ventilation systems). We also insulate facades to eliminate thermal bridges and the inconveniences associated with cold walls (solid walls). 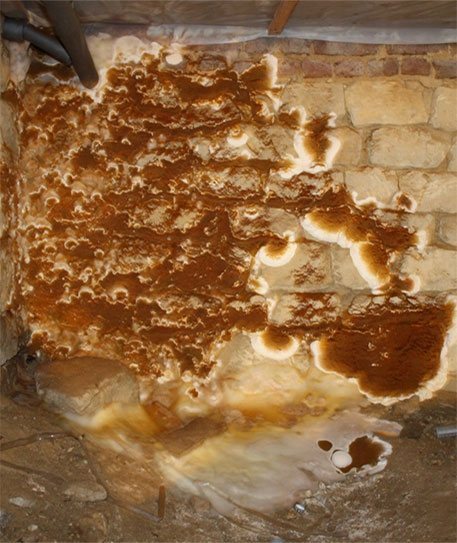 A genuine calamity and danger for your home, dry rot is a fungus that develops in the presence of moisture and cellulosic material (usually untreated wood, cardboard, etc.). It particularly likes unventilated, hot, humid and dark places. In the event of an attack by dry rot, Hydrotec prepares the site, treats the fungus and proposes rehabilitation work: repair of the floors, repair of the ceilings, replacement of stairs, etc. 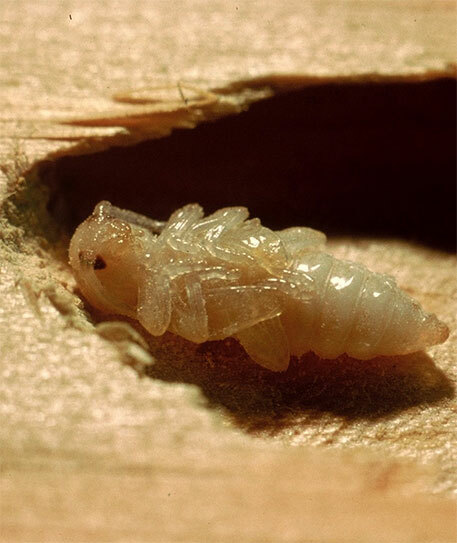 The old carpentry and woodwork are often the prey of wood-eating insects. Hydrotec offers a complete curative treatment for frames by applying an insecticide / fungicide to the wood. Our solution consists of the injection and spray treatment of an insecticide-fungicide. Since 1988, Hydrotec has been providing solutions to your humidity, dry rot, ventilation and building insulation problems. The company works for both private clients and the public sector. In addition to many individual clients, architects and municipalities, institutions such as the Fonds du Logement are regular customers. Hydrotec is a dynamic team at your service. Our employees are trained in dewatering techniques and specific treatments within the company. A question? Our consultants assist you in a personalized way with the sanitation and improvement of your buildings. We attach particular importance to the accuracy of the diagnosis and the quality of our services. A satisfied customer is our best ambassador. After each site completed by Hydrotec, the client receives a form enabling them to share their opinion or to indicate a point for improvement. Hydrotec is committed to sustainable development. Over the years, it has developed effective eco-responsible treatments. The products used are predominantly solvent-freeand non-toxic. We attach great importance to the health of inhabitants and workers.